kandeej.com: Haight & WHO I got to meet: one of the MOST FAMOUS PEOPLE! 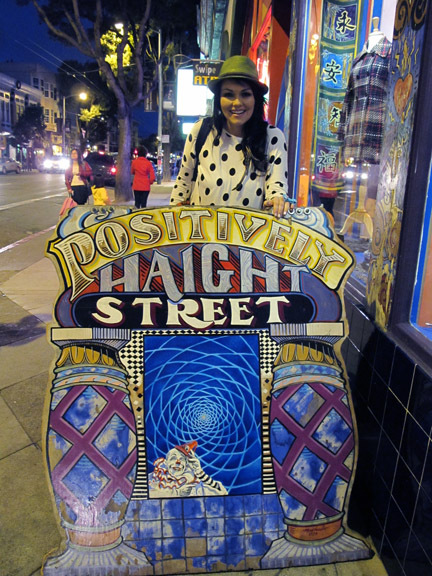 Haight & WHO I got to meet: one of the MOST FAMOUS PEOPLE! San Francisco: me standing in front of the famous "painted ladies" homes in SF. FULL HOUSE: if you loved FULL HOUSE, (uncle Jessie) I personally wanted to be Candice Cameron...and you can't forget...that's how the famous Olsen Twins started! Here's the house they were supposed to have lived in! A San Francisco MUST SEE: the famous Haight Street (The Haight Ashbury area)...known for it's hippie action of the 60's...not much hippie sightings anymore...you can still find "smoke shops" and tie dyed things here and there...but mostly unique little shops, coffee places and bars...and lots of VINTAGE clothing stores! i love the pair of legs coming out the window from the 2nd story behind me....and it was cold, so I gave my neck warmer a go....then it made me too hot! So after we headed back to out hotel room....me and my mom walk into the W Hotel and who do we see? A couple in red pants and hats, and all their bags are red too!!!! 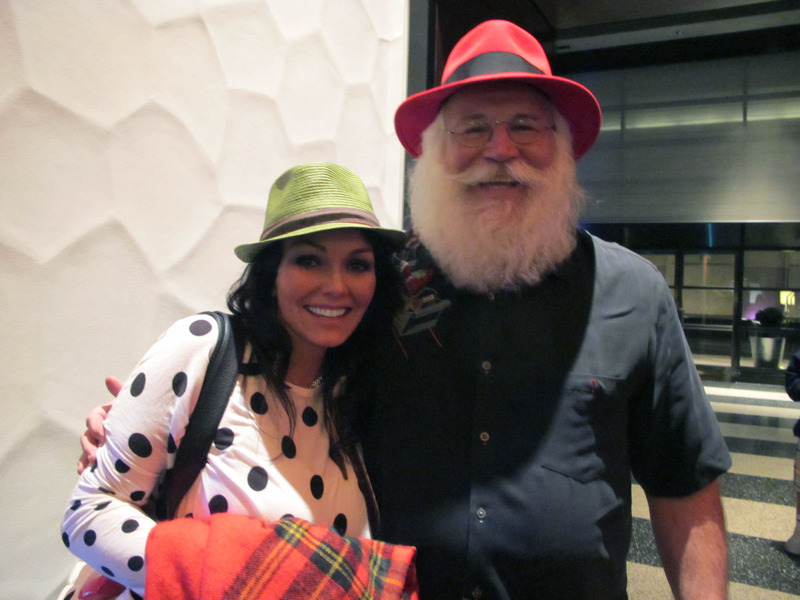 yep I asked good ol St. Nick, for a picture HE not only said yes, but travels with candy canes in his coat pocket!!!! HE gave me a candy cane and I told him he made my night!! !.......I've never seen anyone look this much like every Santa image you've ever seen...he was so jolly, happy, and as some boys lined up after me to ask if he was Santa....I smiled and felt so happy from his jolly hug, smiles and candy cane! 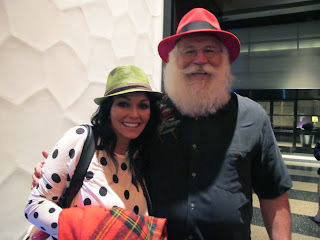 lol Kandee that was completely unexpected Santa!! Candice Cameron stars on Make it or Break It <3 her! Hope you had a jolly time and I hope you feel better!!! WOWZERS!!! Does he ever look like Santa!!! SOO awesome! & I LOVED Full House! I still catch re-runs when they are on and I happen to be watching TV. 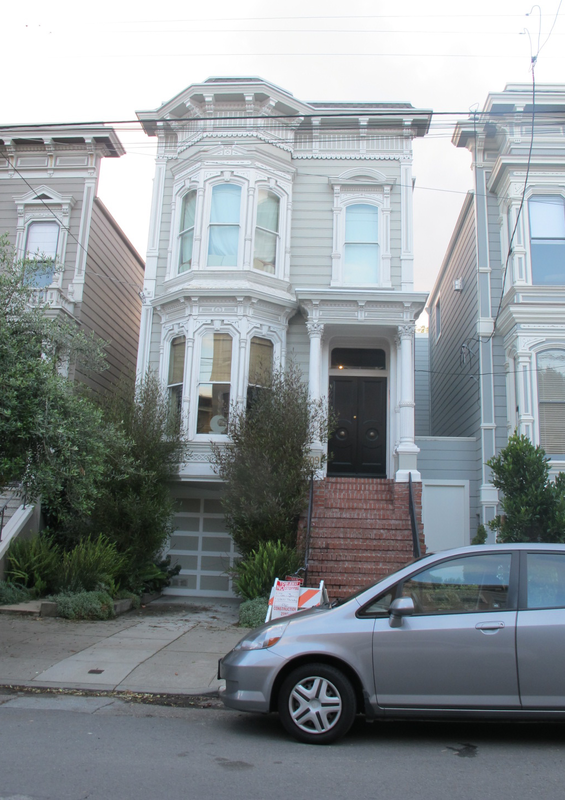 Where in San Fran is that Street that has the full house set up?? i would love to go and drive thru there!! Oh my goodness! That is sooo cute about the little boys!!! Ahh children are so precious! P.S. I was crushing on Uncle Jessie! LOL! First im incredibly jealous that you got to visit full house land!!! But how wonderful that santa man carries candy canes! I think that means he is the REAL santa!!!!! Congrats! 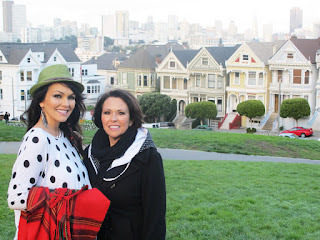 You went to the Painted Ladies! Love that area! I love the skyline to the left of it too. Got some great photos in SF. Hope you had a great time in SF! so sad that you were in my area and i missed out on meeting you! someday hopefully!! Kandee! 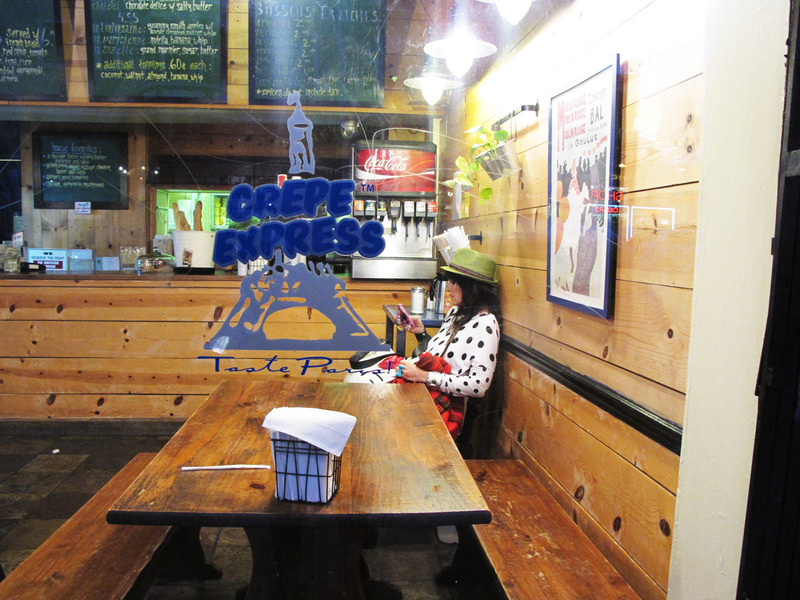 I heart your style! If you and cupcake ever have a sweet craving you should try dynamo donuts in sf before you leave. I almost missed my flight back home just because of those stupid yummylicious donuts :) Glad you're having a blast! Come to Vegas soon! Awww so cute! 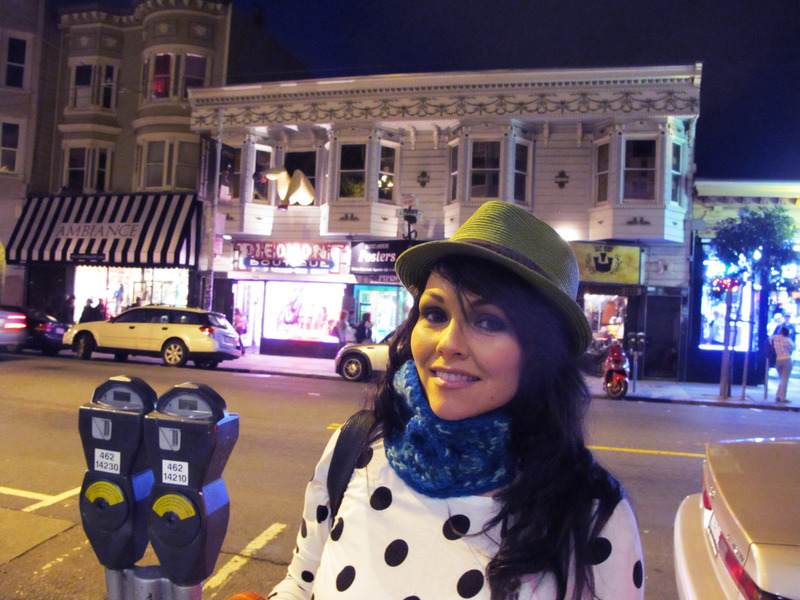 I love SanFran, such awesome shops:) Looks like you had an amazing time. AHH Full House, Love it!! go to viracocha in the mission district you'll love it.. with all there niknaks, typewriters and clothes! Please please please tell me where you got your hat! 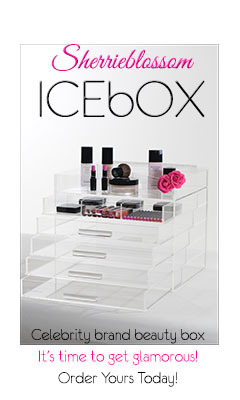 I have been looking for one just like that!!! Oh my gosh, Kandee! I was SO very sad that I couldn't go to your Glaminar here in SF! I really wanted to go and get the chance to meet you because you are definitely one sunray in the world that I most want to meet! But, ALAS, I am but a poor college student who cannot afford Glaminar! I'm glad that you had a great time though & I hope I get to catch you here next time!